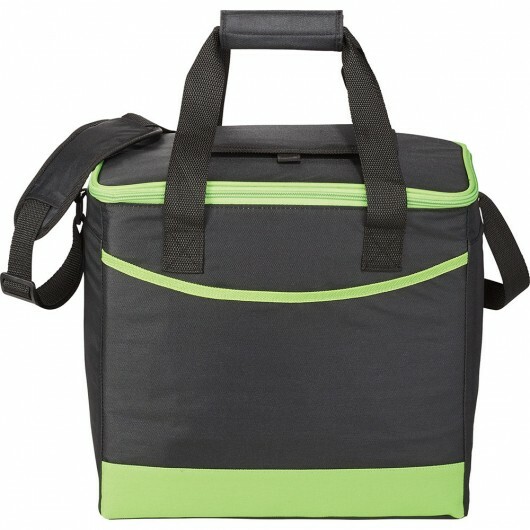 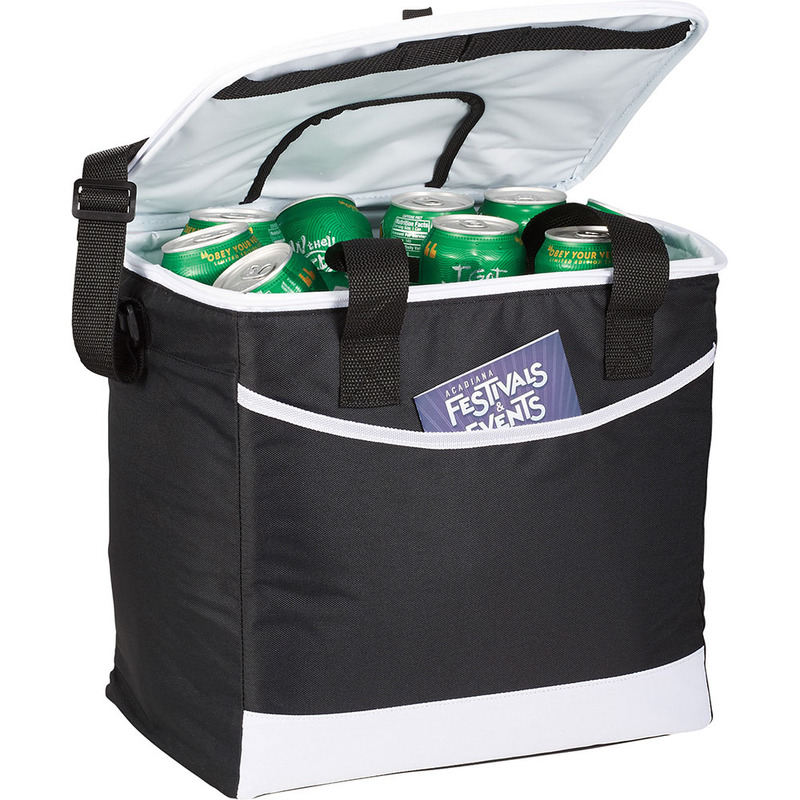 A huge capacity cooler bag that can hold up to 36 standard sized drink cans. 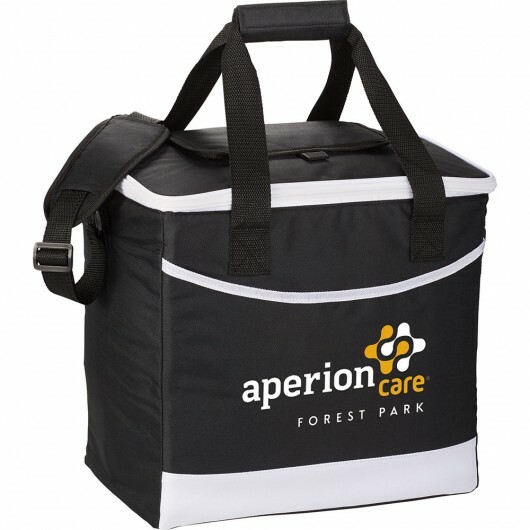 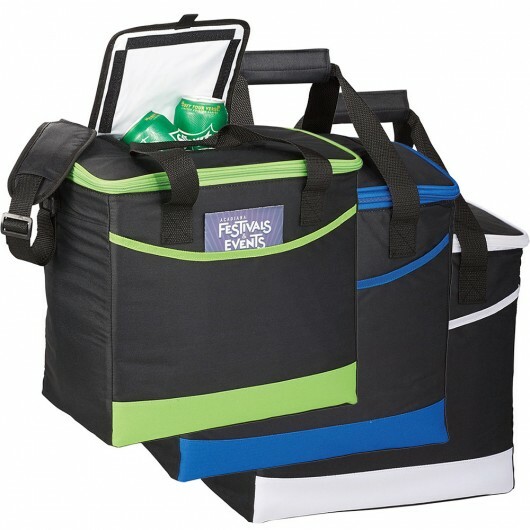 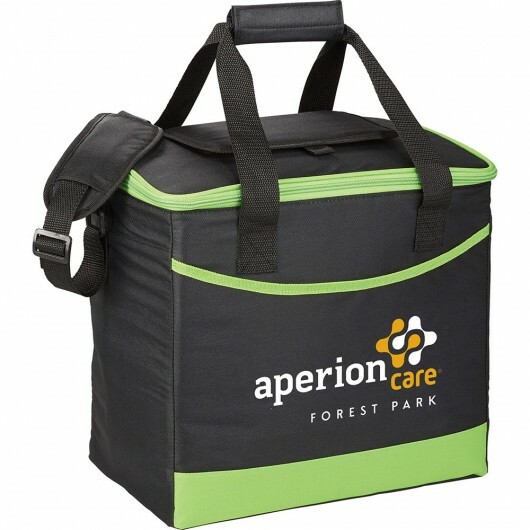 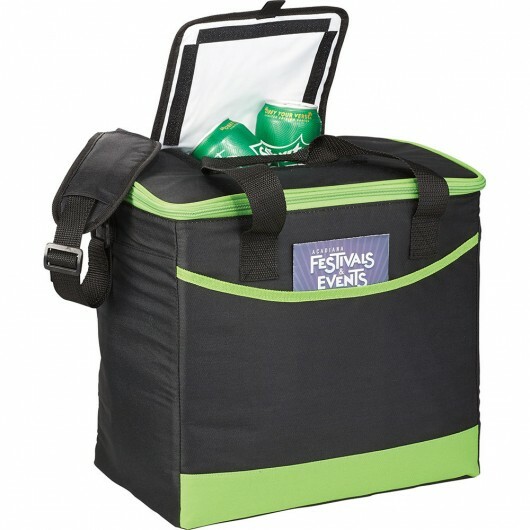 Perfect for festivals, events and group get togethers these cooler bags can hold a whopping 36 standard drink cans. They feature an easy access front pocket with insulated look proof PEVA lining inside to keep the drinks cooler for longer. 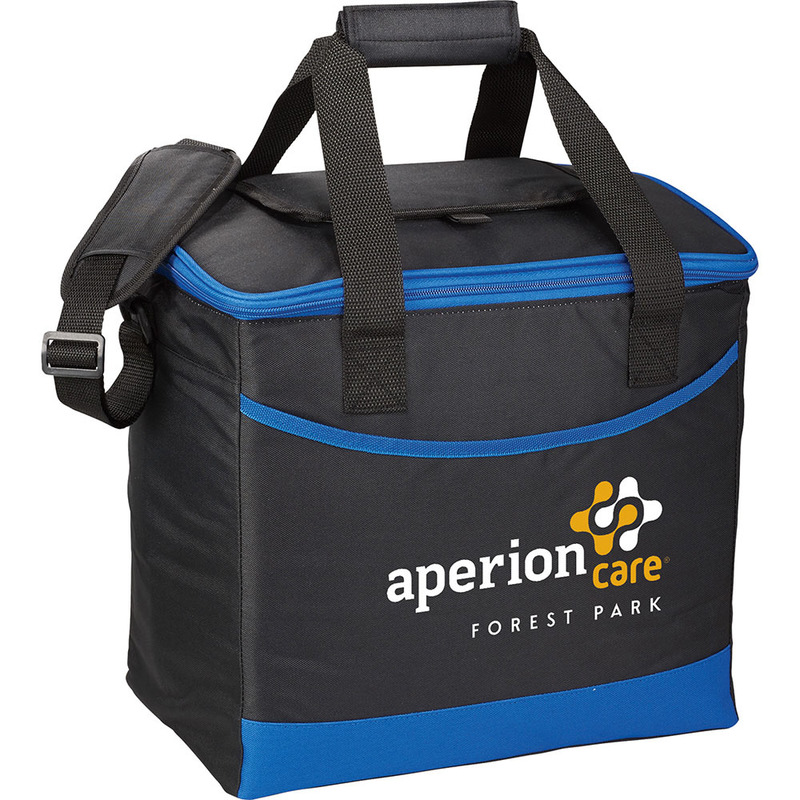 The main compartment has a capacity of approximately 25 litres and your branding is located on the front pocket.